This video explores how the tax sanctuary of life insurance can help protect your other investments against the threat of future higher taxes. There are two certainties in life – death and taxes. Let’s talk about the uncertain and volatile changes in the U.S. historical marginal tax brackets and that’s actually what you’re looking at here on the screen right now. Instead of talking about death, per se, we are going to talk about how a properly structured life insurance can help you in your lifetime – better to navigate toggle and buffer against these volatile changes that might otherwise be very detrimental to your retirement distribution strategy. So if we jump right in here what you’re looking at with the red line is the highest marginal tax rate that’s ever been. Next to the lowest marginal tax rate that’s ever been, through the different years. We actually pulled this data directly from the IRS web site and threw it on a chart together for you to see, and actually, the income tax started as a temporary tax (I’m sure they’re about to repeal it any day) right before World War 1. And you can see that the highest rates spiked dramatically, the lowest rates actually spiked dramatically too in terms of a percentage. And then after that, the catastrophe was averted, things went back down for the highest. As with the lowest, coming out of the Great Depression they went up higher again, as did the lowest, and stayed high for quite a long time and started to come down here until we hit the lowest it was since the Roaring 20s when Reagan took office and proposed the closest thing to a flat tax we had. And you can see the convergence of these two is the closest it’s ever been. And most you actually remember the fluctuations since then, since between 28 and where we are now at 37 since the Tax Cuts and Jobs Act. What I want you to focus on here is that the two do tend to move in tandem. So when one goes up, so does the other and when one goes down, so does the other but that the higher tax brackets tend to be a lot more penal that the movements tend to be a lot more exaggerated than the lower tax brackets. The purpose of this video is to show how life insurance can help you toggle or buffer against these more penal brackets by structuring your assets in a way now so that you undoubtedly will have some things that are taxable but you can build a bucket that is exempt from taxes so you can avoid these more exaggerated higher and penal brackets in retirement. So jumping into the actual brackets themselves. What I’ve done here is I’ve juxtaposed the old brackets right next to the new brackets, and with the focus on “Married filing jointly”. If you are single I do have the individual brackets here to follow along. Notice what I don’t have is the bracket called retiree. People erroneously assume that they’re going to be at a lower tax bracket in retirement and I shouldn’t say erroneously because some people will be at a lower tax bracket at retirement although it may be challenging because kids have grown up, business owners no longer have all these generous deductions that they’re running through their business, houses might be paid off. So when I ask people how they heard they were going to be at a lower tax bracket in retirement they’ll often say “from the media or their accountant” and I’ll ask if they can get that in writing. And obviously, the answer is “No”. But I can think of quite a few twenty-one trillion reasons) why the tax brackets as we know them will have to go up whether you’re retired or not. So I get concern when people just assume that they’re going to be at a lower tax bracket in retirement. And I think that you can come away with strategies to help protect against that or to help create that situation for yourself. So probably the biggest opportunity is everybody got a break with Tax Cuts and Jobs Act. So if you look at the tax rates and compare them to the old rates, if we just look at the 15 percent bracket, instead of it being 15 it went down to 12 for the exact same thresholds (nineteen thousand seventy-seven and change). If we look at the twenty-two brackets from 77 to 165 we got three percent off from this old 25 percent bracket and we actually got it for an additional nine grand. From 165 to 315. We used to pay twenty-eight from 156 to 237. Now we can cut this bracket in half and you’re getting four percent off right over here and all the way up to 315 you’re actually getting 9 percent off. I realize that some of you lost deductibility of state and local taxes as I did. However, if you’re a business owner, what you did pick up was 20 percent off all of your k-1 income. And that includes Schedule C earners. There is a limitation if you make over three hundred and fifteen thousand if you’re a services business professional like me. However, if you stay under this, it doesn’t matter whether you are or not. And if all of this flows through to your k-1 you don’t have to pay taxes on 20 percent of it, which is quite amazing. Just to clarify what that means for all of you independent contractors or service businesses that get k-1 income – let’s just say that married filing jointly you made two hundred and fifty thousand dollars and all of it was either Schedule C income or k-1 income. The fact that you don’t have to pay 20 percent of that means that 20 percent of two fifty is fifty thousand dollars. Subtracted from two hundred and fifty thousand dollars. That means you’re going to pay taxes, like you earned two hundred thousand dollars, even though you earned two hundred and fifty. So what I’m suggesting is that you use some of these tax savings and rather than defer it in perhaps the lowest tax brackets that you’ll ever be in the rest of your life, when you’re paying taxes on sale. Rather than defer all of it, maybe it’s time to pump the brakes on that 401k, that SEP, and take some of this money. Pay your taxes on sale and put it into something that is going to be tax exempt in the future. Something like permanent life insurance, whether it’s whole life or indexed universal life – something that is going to generate good retirement income in a risk profile that you’re comfortable with. And what happens is when the new brackets the new brackets the ones that aren’t here yet, switch back even if we just go back to the old brackets to show if they just go up a tick. So you could see you wouldn’t be at a lower tax bracket. You’d actually be at a higher tax bracket. Not to mention, if the government decided that we need to start paying down the 21 trillion dollars in debt and all of this goes up by 10 points, not even including your state, then all of a sudden if these brackets change and go against you – well what you could still do is you could supplement your income using the money coming out of the life insurance. You could still take from your qualified plans in these lower brackets or maybe if they just go up a little bit like we saw on the prior page. So if these brackets happen to go up a little bit but these go up a lot. Well then what you do is you use the income sources that are fully taxable here that you’ve deferred things like qualified plans, maybe your Social Security is only partially taxed or even if it’s fully taxed things like rental real estate where maybe your depreciation is run out. And you have to pay tax on that, your stocks and bonds and dividends and mutual funds – all of these taxable things. You could toggle how much you took out of qualified plans to keep this low to keep this down. And all of this stuff, where you would be paying a lot of tax, you could just get rid of the tax by using the life insurance to create more tax-exempt income. So even if you wanted to live this lifestyle, but you only wanted to be taxed on this lifestyle – so be it. You can use life insurance to toggle things. Also, it may be temporary. So just like you see there are prior spikes if we get a big spike like this, maybe you just delay again you do a 401k delay – you pump the brakes, you aggressively pull from a life insurance policy that assumes that you’ve aggressively funded it during your working years but you could actually borrow against it. You can actually withdraw or borrow against life insurance. This may be a reason to aggressively borrow from your life insurance to take the income during this period. Only take a trickle out of there 401k to stay in this lower bracket. And then when tax rates came back down, when they when they normalized again, a new regime got into office – then you can pull from your 401k to make your life insurance policy whole again. So it’s hard because people naturally just want things to be linear. They want a plan like retirement is going to be linear but they’re not, in terms of market movements or taxes. 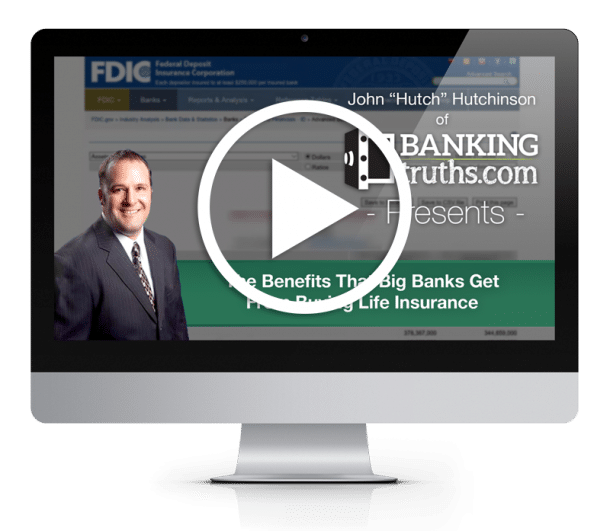 And that’s the purpose of this video is for you to see that it’s not quite as linear as maybe you would have liked to have planned for it to be, but there are things you can do now using life insurance as a buffer so that you have this supplemental bucket to pull from where you can toggle or better control your tax bracket during retirement.